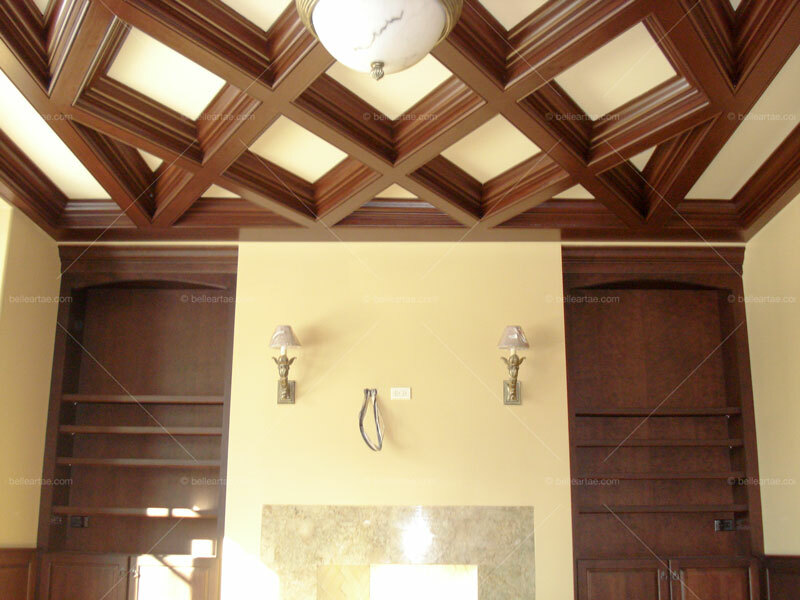 Our client asked us to create a diamond patterned coffered ceiling detail. 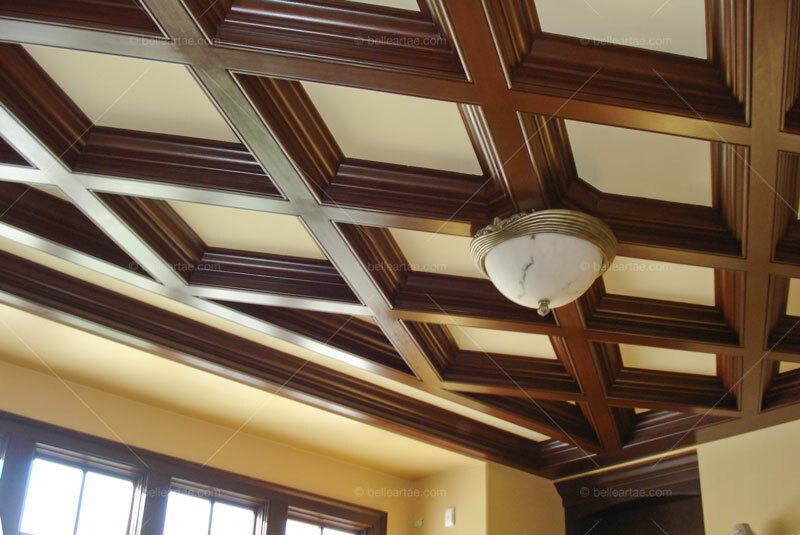 We used crown AB501 and crown backer AB84-6 to create this elegant look. 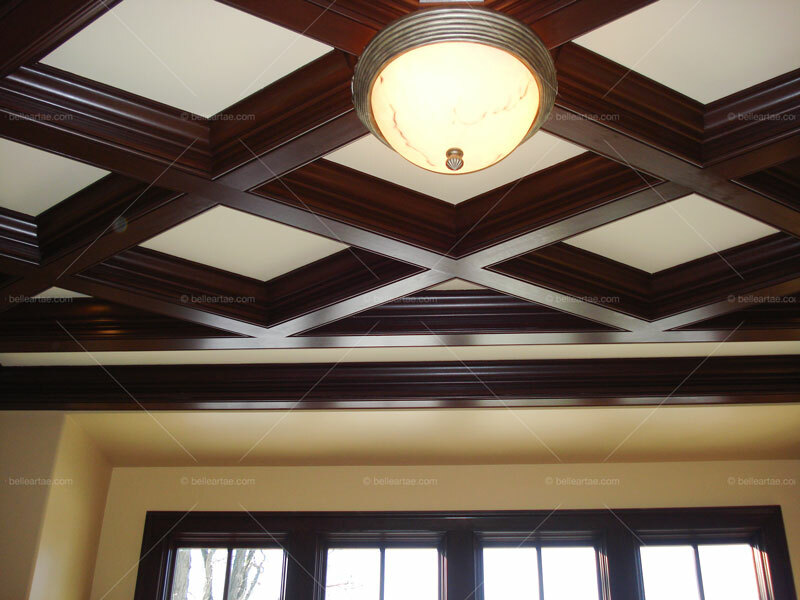 The pictures show the finished ceiling with mahogany stain. 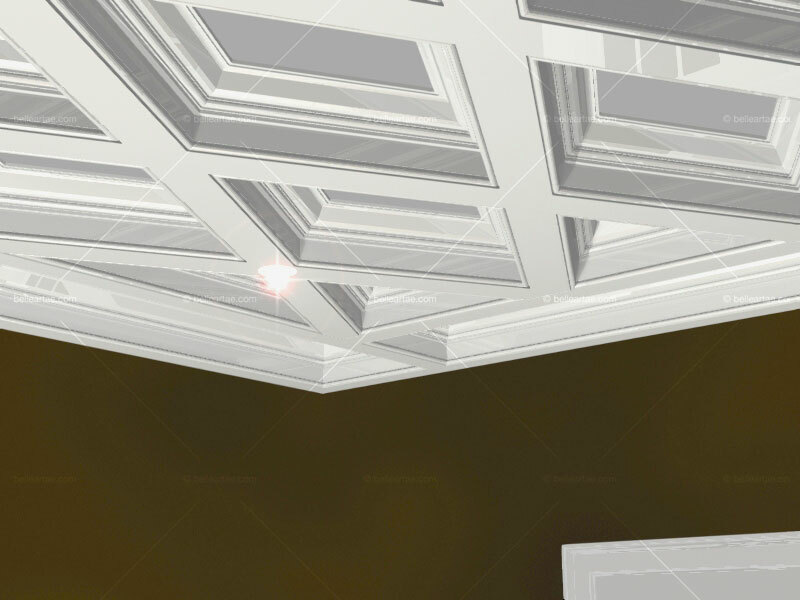 The final image in the series is a rendering we provided when proposing this detail. 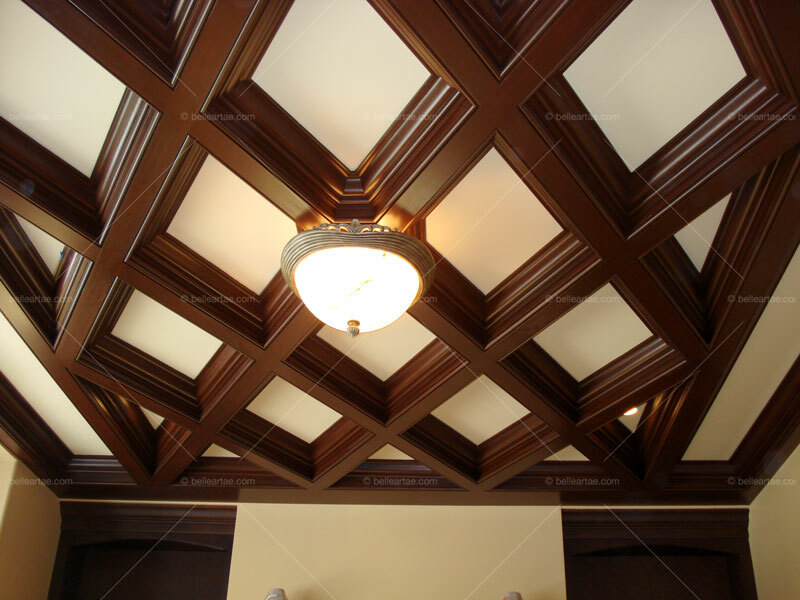 Minor changes were made in the field, but overall the installation is as designed. Click any thumbnail image for a slideshow of all images.